Had to have one. 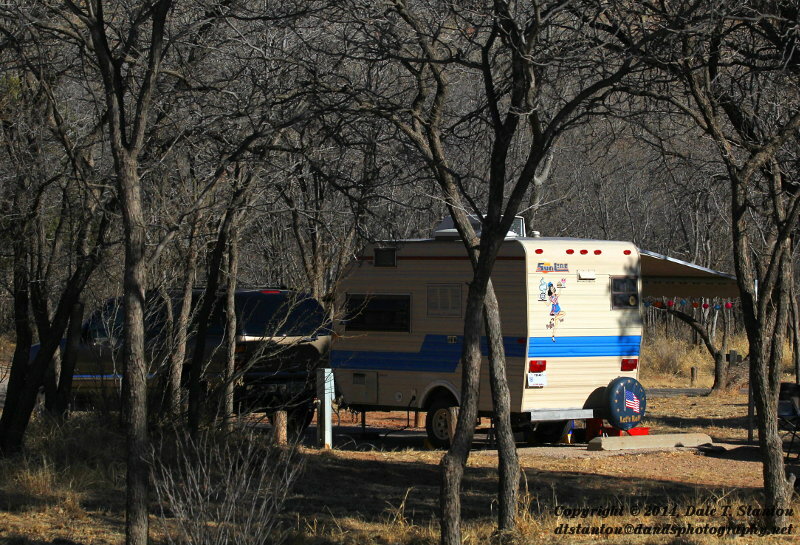 Last weekend, we pulled our Sunny out of the storage building and headed for Palo Duro Canyon. Glad it's so close. Real nice weather - 60-ish and little wind. The campground only had a couple others besides us in it, and I think the white-tailed deer outnumbered people. They had an area right behind us where they bedded down. 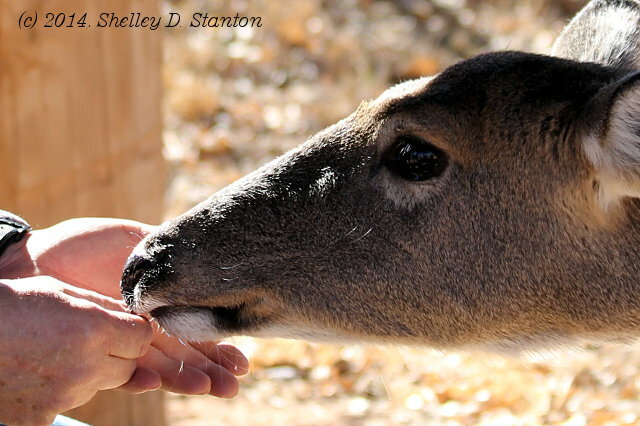 The deer are wild and are quite accustomed to people - as you can see. The wild turkeys down there will get close, too. We put "Peggy Sue" back in storage until the next warm weekend comes around. I'm ready! Oh...lucky you... Us froze in here up north are for sure wishing for warmer weather. Right now 40F and sun with no snow and we would be "gone camping"
It sure helps to not have to Winterize and de-Winterize, too. We don't use the on-board water/facilities. Makes it a lot easier to grab-and-go. 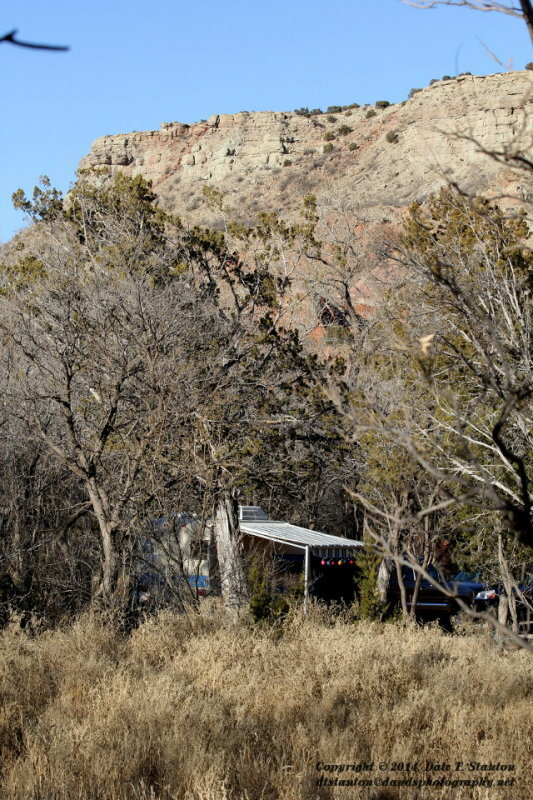 We are filled with "camping envy" - camping in January AND Palo Duro Canyon - sigh! Thanks for including pixs - oh, that Texas blue sky! We took out our 2363 this past week too but it went to the local RV shop so that he could take out the old Dicor seams and put in new ones. We wanted to do the seams ourselves but don't have the indoor space or time right now to do it. And we don't want to lose any of the camping season when spring rolls around. We're going to Eternabond the new Dicor seals this spring. Yeah, it may be "overkill" but we've got a nice solid Sunny and we want to keep it that way. Got 2" of snow last night and it's 22 degrees and going down so we gotta' have something to look forward to.